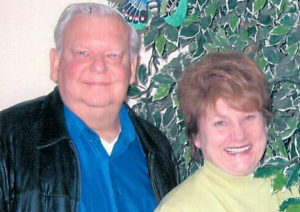 Roger and Sally Ciapara, residents of Fruitport, Michigan, were previously owners of R.S.I. Wholesale, Inc., which was a building supply company that had locations in three states. One location was in Toto, Indiana. In 1997, Roger and Sally sold their business to Allied Building Projects Corporation. On November 30, 2005, the Ciaparas generously decided to give the portion of their real estate in Toto, known as the Rolling Dunes subdivision, to the Starke County Community Foundation. This gift of real estate was used to establish the Rosa of Indiana Fund, which supports three charitable organizations in Starke County. The Ciaparas decided that their fund would support Community Services of Starke County, the Society of Saint Vincent de Paul in North Judson, and, due to their love of animals, the Starke County Humane Society. Their gift will benefit these three organizations forever. Though Roger and Sally Ciapara are not originally from Starke County, they will forever be tied to the area through their generosity toward the community.